Ancient Corinth was first inhabited in the Neolithic period (5000-3000 BC), and was a major Greek city from the 8th century BC until it was destroyed by the Romans in 146 BC. Its position on the Isthmus of Corinth, the narrow strip of land that separates the Peloponnese from northern Greece, was the main reason for its importance. 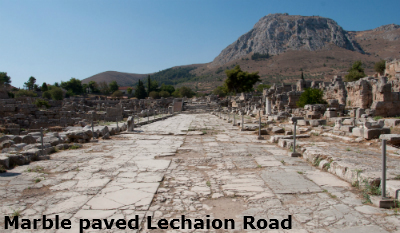 Corinth controlled the diolkos which was the 6th century BC stone-paved roadway that connected the Saronic Gulf with the Gulf of Corinth. This overland route was highly valuable as it allowed passengers and cargo to avoid the difficult sea trip around the south of the Peloponnese. 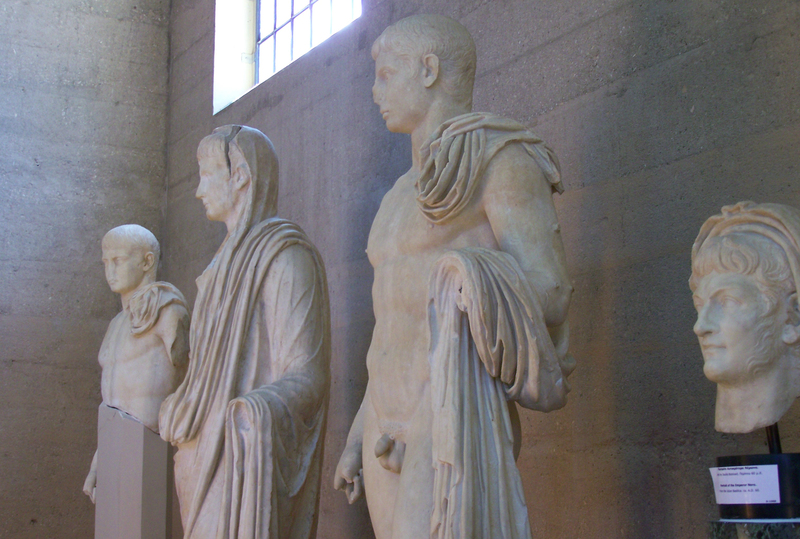 Being a leading naval power as well as a rich commercial city enabled ancient Corinth to establish colonies in Syracuse on the island of Sicily and on Corcyra (modern Corfu). 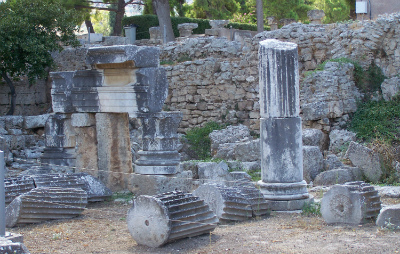 These colonies served as trading posts for the richly ornamental bronze works, textiles, and pottery that Corinth produced. 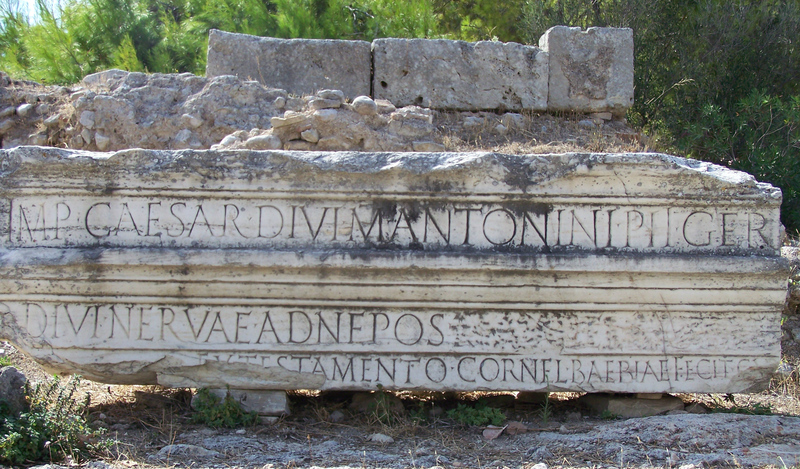 From the early 6th century BC, Corinth ran the Panhellenic games at nearby Isthmia, held in the spring every two years. These games were in honour of Poseidon and were particularly famous for the horse and chariot races. 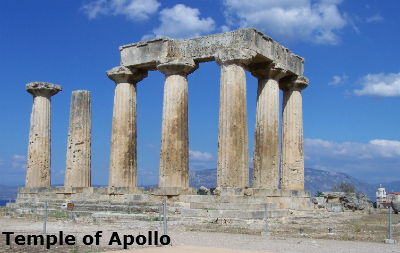 The Doric Temple of Apollo, one of Corinth's major landmarks, was constructed in 550 BC at the height of the city's wealth. The temple is Doric in style with 6 columns at each end, and 15 along each side. It was 53m long and 21m wide. Each column is over 7m tall and at the base has a diameter of 1.7m. Seven remain standing and are made from one piece of limestone with white marble stucco applied to the outside. Corinth was conquered by Philip II in 338 BC, but after Philip was assassinated, Alexander the Great came to Corinth to confirm his leadership. At the Isthmian Games of 336 BC, the Greeks chose Alexander the Great to lead them in the war against the Persians. 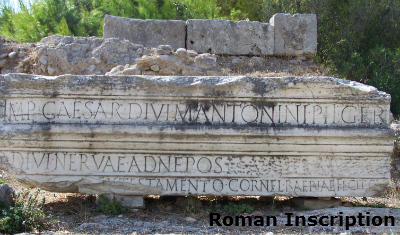 Corinth was partially destroyed by the Romans in 146 BC, but it was rebuilt in 44 BC as a Roman city under Julius Caesar. Corinth was the capital of Roman Greece and prospered more than ever before and may have had as many as 800,000 inhabitants by the time the Apostle Paul visited Corinth in the 50s AD. He later wrote two letters to the Christian community at Corinth (Corinthians books 1 & 2 in the New Testament). Paul lived in Corinth for 18 months working as a tentmaker and converted many Jews and pagans to Christianity, he also wrote his Epistle to the Romans in Corinth. During Alaric's invasion of Greece in 395-396, he destroyed Corinth and sold many of its citizens into slavery. 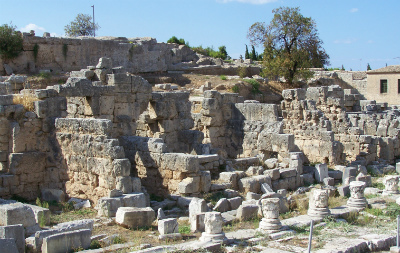 Corinth remained inhabited for many centuries through successive invasions, destructions and plagues.In 856, an earthquake in Corinth killed an estimated 45,000 people. 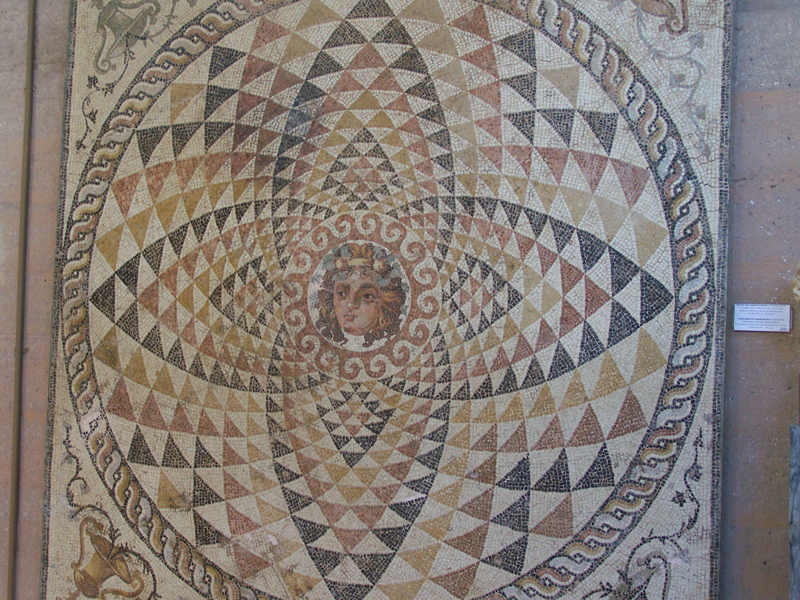 Archaeological excavations of the area by the American School of Classical Studies in 1896, are still continuing today and have found the agora, temples, fountains, shops, porticoes, baths and various other monuments. The finds are exhibited in the on-site Archaeological Museum of Ancient Corinth. The ruins of ancient Corinth are spread around the base of the rock of Acrocorinth, which forms a natural acropolis for the city. 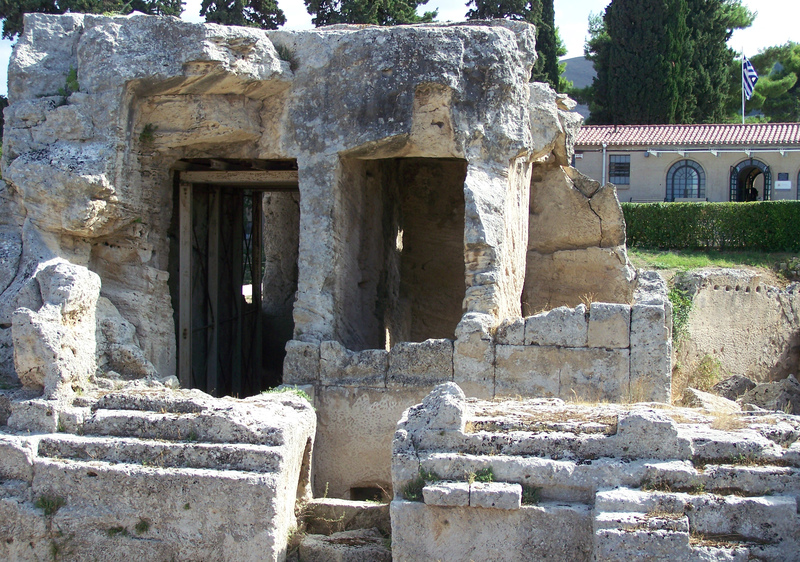 Most of the surviving buildings are Roman rather than Greek and the majority of the city has been destroyed by recurring earthquakes over the centuries. 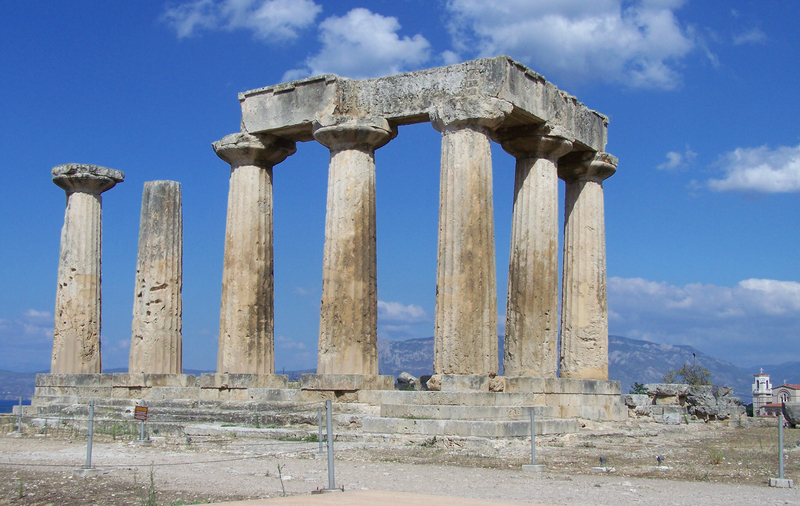 The Temple of Apollo dominates the site of Ancient Corinth. The remains of the temple stand on a terrace which is the highest part of the city, and was built to replace an earlier temple from the 7th C BC. Before the excavations began which revealed the size of the ancient city, the columns of the temple were all that could be seen and this was the only sign to archaeologists that there might be other ruins in the area. 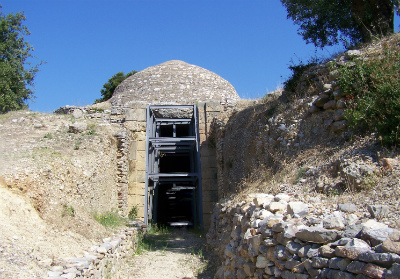 Most of the buildings that have been excavated are from the Roman era. The wonderful ruins of the Peirene Fountain, the major source of water for Corinth, can be seen in the Roman Forum. It was an ornate building that was a meeting place for Corinthians. The Romans were very keen on fountains and running water, so they made a number of additions to the fountain, leaving the original Greek part at the back. They added the collonade in front of the arches, as well as a rectangular basin and three niches. Most of this was done in the 2C AD by Herodes Atticus. There are six stone arches and a series of underground resevoirs. The fountain is named for Peirene, a woman who wept so hard when she lost her son that she finally dissolved into the spring that still flows here. The Glauke Fountain, according to the Greek traveler Pausanias, Glauke, Jason's second wife, also known as Creusa, threw herself into the water to obtain relief from a poisoned dress sent to her by the vengeful Medea. 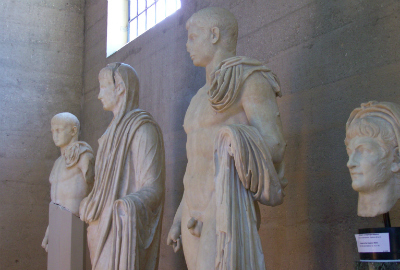 The majority of the other surviving buildings date from the 1st century AD in the Roman era and include a large forum, a temple to Octavia, baths, the Bema where St. Paul addressed the Corinthians, the Asklepeion temple to Asklepios, and a centre of healing, fountains - including the monumental Peirine fountain complex (2nd century CE) - a propylaea, theatre, odeion, gymnasium, and stoas. There are also the remains of three basilicas. There are huge rows of shops - 33 in one row. 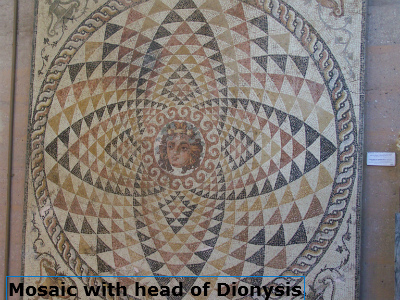 Archaeological finds at the site include many fine mosaics - notably the Dionysos mosaic - Greek and Roman sculpture - including an impressive number of busts of Roman rulers - and outstanding examples of all the styles of Greek pottery, the first source of the city's fame in the ancient world. 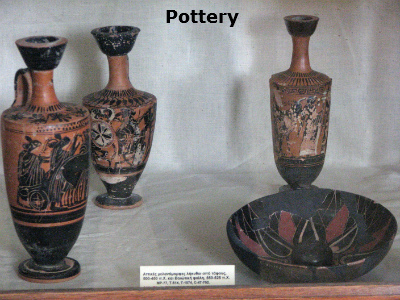 The heyday of Corinth's famous black-figure pottery-decorated with friezes of panthers, sphinxes, bulls, and warriors was in the 8th and 7th centuries BC. A comprehensive collection can be seen in the museum showing all stages of development. A new (East) gallery currently under construction, will be added to the Museum in 2016, hosting finds from the komai (smaller settlements) and the sanctuaries of Corinth. I visited Acrocorinth and Ancient Corinth both on the same day. Quite hard going with my feet really aching by the end of the day. I stayed overnight in Vasilis Marinos Rooms which were beautiful. A lovely setting with view of Acrocorinth from the balcony and lots of parking. I was made very welcome and the food was wonderful. I was taken into the kitchen to choose what I wanted to eat for my evening meal. Also breakfast was very good.